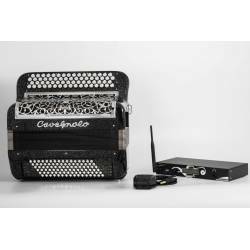 Digitial accordions by the popular French accordion maker, Cavagnolo. Cavagnolo Digit Air There are 5 products. 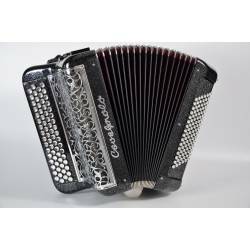 An incredible feat of engineering: a top of the range 96-bass digital accordion weighing only 5.5 kg!This is one of the very few fibre made accordions to come out of Cavagnolo’s factory, a true revolution within the Digit family.This instrument is usually available in stock at our shop. 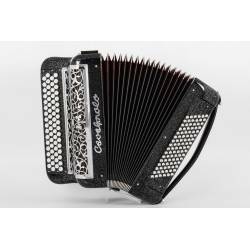 A Digit accordion providing the ability to edit all of its 200 registers means that you can create your very own personalised Digit.Ideal for live performances or advanced players. The ultimate digital accordion. On top of being absolutely top of the range, the Cavagnolo Digit Millenium uses a carbon box (New Tech) which makes it super lightweight and handy. 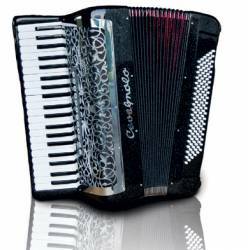 The revolutionary Digit accordion is now available in its piano version!Two versions available: - LP9: 96 basses, 37 keys. - LP12: 120 basses, 41 keys (as shown on picture).